DR. TARAS KONANEC graduated from McGill University Faculty of Dentistry in 1997. He subsequently completed a postgraduate residency program at the Royal Victoria Hospital in Montreal. After some volunteer dental work in Brazil, he began his dental practice with his father and soon after with the Drummond Dental Group. Dr. Konanec is now co owner of the Drummond Dental Group. As of April 2015, the Drummond Dental Group has moved into a newly constructed modern downtown dental clinic on the corner of Guy and Sherbrooke streets. Dr. Konanec has always been involved in teaching and continuing education. He is a part time faculty lecturer at McGill University Faculty of Dentistry where he is involved in the restorative department teaching in the course on operative dentistry. He has been doing so for over 19 years now. "I really enjoy conveying to the students the pros and cons of filling teeth with various dental materials. Dentistry has so many options- even in the year 2018". He does the same with each and every one of his patients." As your dentist, I will always act as your advisor and present all of the available options but the ultimate decision is always up to you". 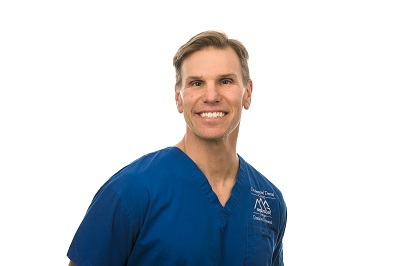 ​He believes in minimally invasive dentistry techniques and will put extra time and effort into saving as much good tooth structure as possible for the future. Dr Konanec practices using a microscope to enhance attention to detail. He also a member of the Academy of Microscope Enhanced Dentistry. Dr. Konanec and his team have a long list of loyal patients due to their unique ability to make patients feel comfortable. He gets a real sense of fulfillment from being able to give his patients a great experience every time that they come to the office.